Stairlifts can be the solution to a common problem -- the inability to get into your home or freely go to all floors of your home because of difficulty going up and down stairs. Two steps or twelve steps -- it doesn't matter how many. Those steps can block your full access of your home. Stairlifts are available in two general configurations -- straight and curved/custom -- and there is a solution for all stairway types. 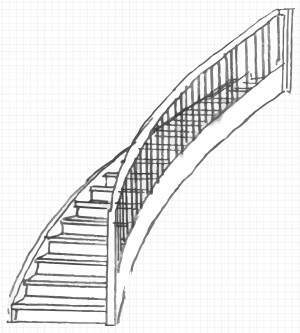 For more on staircase types and possible solutions, keep reading. While stairlifts are most common inside houses, stairlifts are also available for outdoor use. And, at Image Management, LLC, we sell and service new and used stair lifts. We are based in Raleigh, NC and sell/service/rent/purchase lifts all over North Carolina and in some areas of Virginia and South Carolina. We also rent stair lifts for situations when the stair lift will most likely be needed for only a short time or when a lower initial payment followed by a monthly payment is desired. For more information about rentals, visit our Rentals page. Keep reading for more stairlift info and/or contact us to discuss. If your application is for a straight stair lift, take a look at our straight stair lift questionnaire and measurement worksheet. These are some of the questions we'll ask as we talk. We'll ask some questions and then make an appointment to come take very specific measurements. Who can use a stairlift? Basically anyone! We recommend that children ride a stairlift under the supervision of an adult or by themselves only after an adult has determined that they are safely able to ride without supervision. 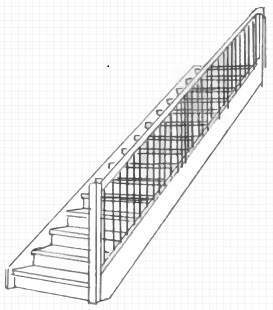 Runs on a track that is installed on the stair treads, close to the wall. We will cut the track to fit. Has a seat and foot rest that folds up when not in use. Can have accessories (purchased separately) such as call/send buttons, upgrades/awnings for outdoor use, folding rails, etc. Note, an upper barrier can be created also and we can provide this service, if needed. Might require some site preparation for safe install and operation. See more about possible site preparation below. Possible site preparation for your stairlift? 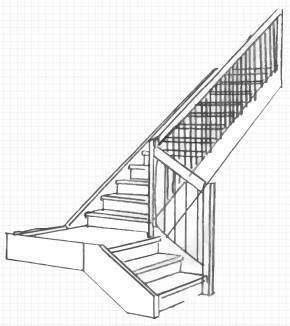 Occasionally, you might decide you'd prefer to have the stair lift installed on the same side as the stair rail and that might cause us to want to move the stair rail higher or to the other side. Stair lifts use a standard home 120 V wall outlet. 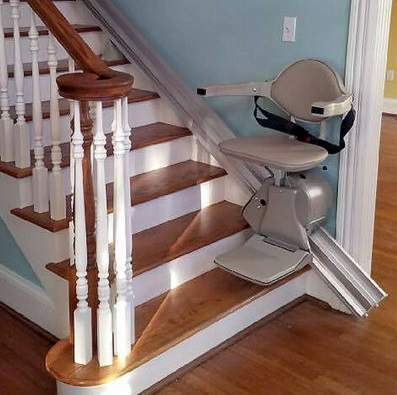 If you don't have power near the planned stairlift location, we can use an extension cord temporarily but you will want a new outlet installed closer to the stair lift. You will need to contact a licensed electrician to add a new outlet. Do not plug other items into the same outlet/circuit as your stair lift without understanding the circuit's capacity and the draw of all items. You do not want your circuit to be overloaded and blow and the stairlift battery to not be charged and drain down. Most stairlifts have batteries that should always be kept charged -- so that the lift will perform should your power go out and so your batteries will function better and last longer. Your stairlift will have a charging light/indicator that will always give you a quick visual that power is flowing and your stairlift battery is being charged/recharged. You will want to always check for this light at every use and daily, if not used. Your stairlift battery life is dependent on usage, charging, etc. The stairlift battery will slowly deplete even if not used so keeping the battery charged is very important. Never leave your lift battery in a partially discharged or fully discharged state as the battery may be permanently damaged and require replacement. See also the comments about power source above under possible site preparation. 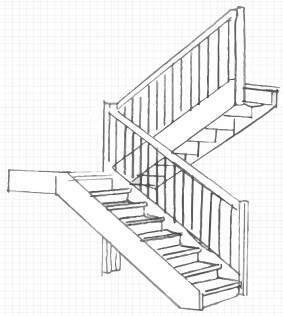 Staircases with more than one set of straight stairs separated by one or more level landings? Mid-ride transfer on landing is required. Make sure the rider will be able to safely perform this mid-ride transfer long-term before you select this option. Rider will have one continuous ride. No mid-ride transfer will be required. 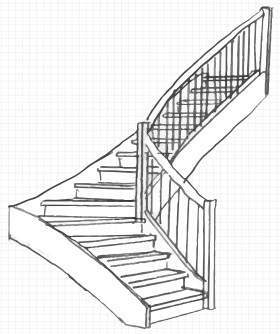 Curved or winding or other custom staircase? Contact us to discuss your stairlift application!